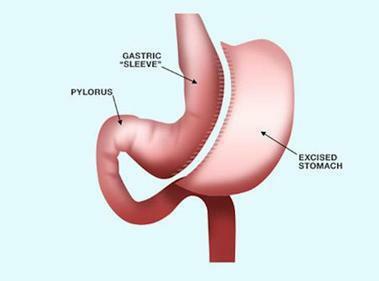 Sleeve gastrectomy has quickly become the most popular bariatric procedure. The stomach is downsized to about the size of a banana. The hormones removed change the signaling of the body to control blood sugar and hunger resulting in weight loss and cure of other medical issues. The surgery is not reversible but the anatomy of the bowel is unchanged.